Eight rounds in, the halfway point of the season reached and passed, yet still so much left to fight for. Coming off a brilliant Brno round, where some riders were etched into the history books while tensions flared amongst others, the MOTUL FIM Superbike World Championship crossed the globe to land in sunny California. As summer beckoned, a few WorldSBK riders made the best out of the blue west coast skies a few days before the race by taking over the world-famous Golden Gate Bridge in San Francisco. It doesn’t get much grander than this, but you can check that out for yourself. 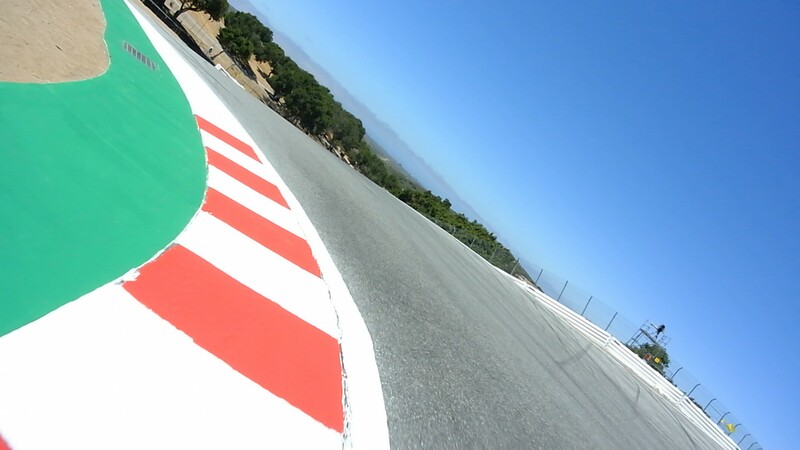 Laguna Seca has been a favourite of racing enthusiasts for decades, thanks in no small part to the infamous Corkscrew. As spectacular as it is dangerous, several riders found out just how steep that descent is. 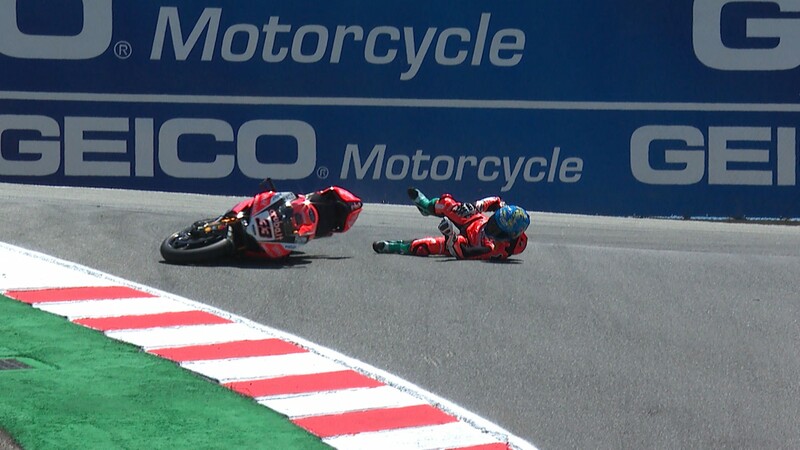 For Marco Melandri (Aruba.it Racing – Ducati) his fall in FP1 ended up being little more than a scare; others weren’t so lucky, such as Toprak Razgatlioglu (Kawasaki Puccetti Team), who was forced to sit out Race Two following this awful fall. Only the WorldSBK riders were present at the American track, but they provided two stunning races. 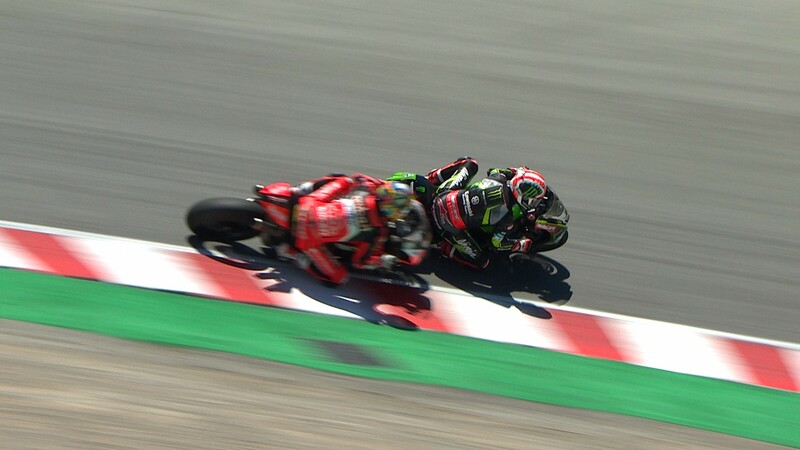 In the Saturday opener, Chaz Davies (Aruba.it Racing – Ducati) couldn’t hold back a relentless Jonathan Rea (Kawasaki Racing Team WorldSBK), who was out with a point to prove after his Brno DNF. 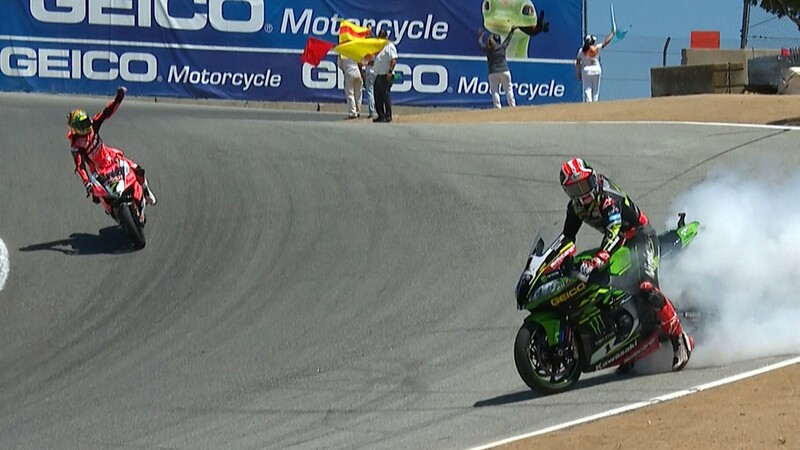 Catch the full highlights from that race here, as well as Rea’s race-winning move at the height of the Corkscrew. In Race Two the fans were presented with an Irish duel at the front, Eugene Laverty (Milwaukee Aprilia) making the best out of his pole position start to jet out into the lead, before finally being overtaken by eventual race-winner Rea. There was still reason to celebrate for the Aprilia rider, as he managed to cross the finish line in third and his first podium finish since 2014. Watch the highlights from his rostrum return here, and catch Rea’s superb double celebrations after. 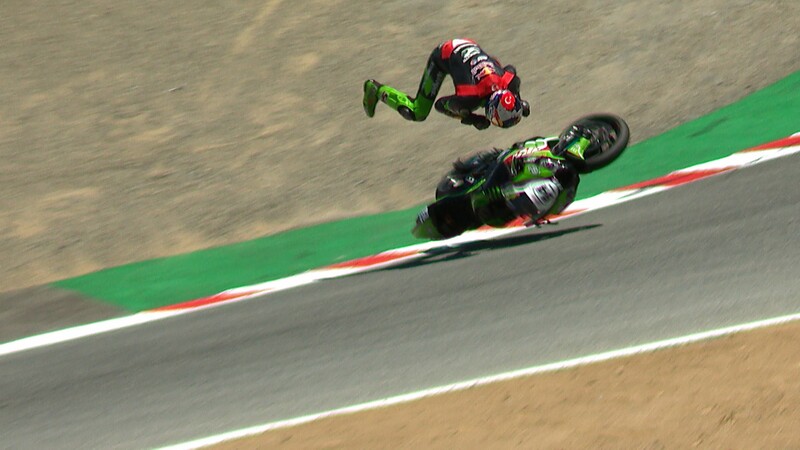 Find all the action from present and past seasons thanks to the WorldSBK VideoPass.